The City has received various federal and state grants to assist homeowners and our neighborhoods. Please see below for a short description of each program and click on the program for more information. Neighborhood Stabilization Program 1 & 3 - The program is closing out and no longer accepting applications. Housing Rehabilitation Program - The City manages a federal grant to renovate home owner occupied housing that are in need of repairs to bring the home back up to minimum standards. Florida Hardest Hit Fund Program Fund - Florida Housing Finance Corporation (Florida Housing) was directed by Treasury to use a portion of these funds specifically for targeted unemployment programs that provide temporary assistance to eligible homeowners. Community Development Block Grant (CDBG) Program : Consolidated Action Plan The Community Development Block Grant (CDBG) program is administered nationally by the U. S. Department of Housing and Urban Development (HUD). Funding is provided annually to cities and counties for activities designed to address the objectives of the program to provide decent and safe housing, a suitable living environment, and expanding economic opportunities. Joint City-County SHIP Program During 2008, the City of Palm Coast became a CDBG entitlement city. 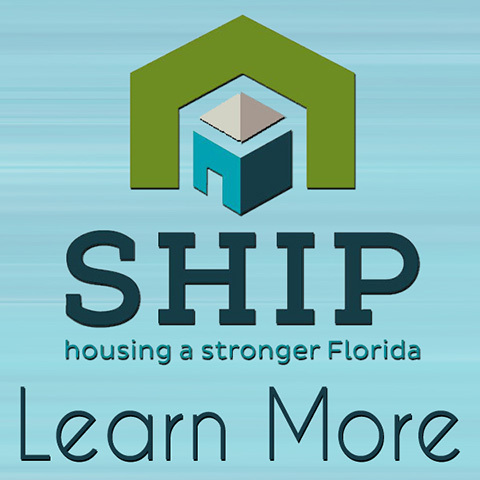 An Interlocal Agreement has been established between the City of Palm Coast and Flagler County for the county to be solely responsible for the administration and implementation of any State Housing Initiatives Partnership (SHIP) funds dedicated to the City of Palm Coast with effect from July 1, 2009. Women-Minority Business Enterprises The City's Housing Programs strives to contract with minority, women, and Florida veteran business enterprises. The City utilizes the list of certified business enterprises maintained by the Florida Department of Management Services. FAIR HOUSING - It's not just your right...it's the law! You Have a Right to Live Where You Want to Live!